We now have two leaks that show the same tablet, hinting at some new features and a new Android version. 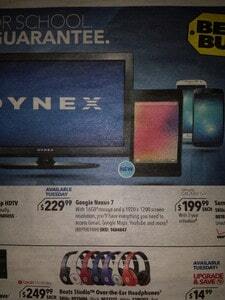 First someone leaked a Best Buy flyer that is supposed to be released on July 28th that shows the new Nexus 7 available at 229.99 USD, with a launch date on July 30th. Today another leak came from popular Twitter account @evleaks, that shows the full tablet with slight design changes and possibly a new Android OS. 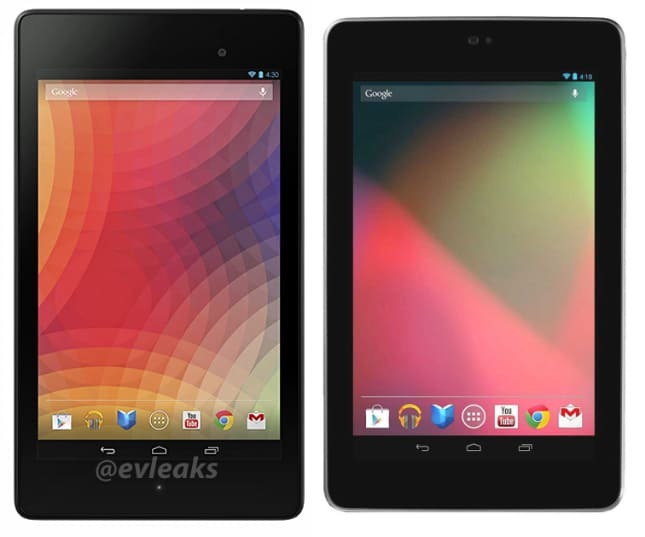 The two leaks reveal the same Nexus 7, so they are almost certainly not fakes. 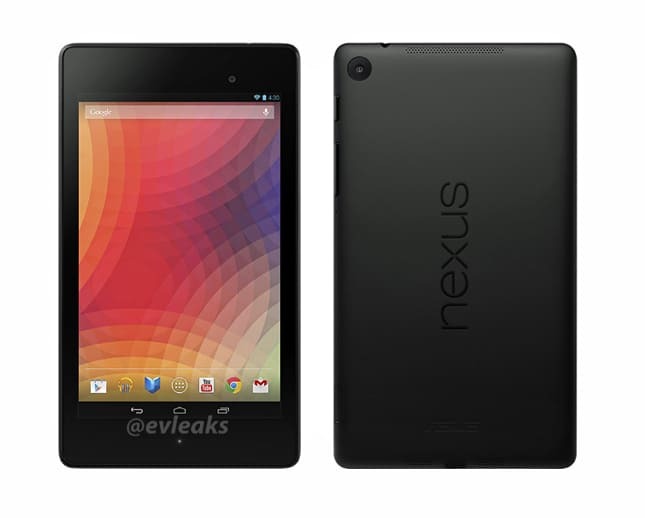 The first thing that comes in mind is the changed wallpaper, different from the previous Nexus 7 model. Also if you look at the time, it shows 4:30, basically hinting that it will run on Android 4.3. The back of the tablet is also different, with the Nexus logo being placed in a landscape orientation. @poke4christ posted a photo that shows the new Nexus 7 and the old one next to each other, and you can clearly notice the design differences. On the front of the device we can notice a notification light, and on the back we can see the dual speakers and the rear camera. @evleaks also wrote that the tablet will be available in 32GB and 16 GB versions. A side photo was also posted on the Twitter account. In terms of design it is easily noticeable that the new Nexus 7 is bigger and thinner, though it still has the same screen size. That’s all we can observe by now, but tomorrow at the Google event we can expect the tablet to be officially revealed.